Today’s global research in the areas of advanced materials and manufacturing is all about making value-added products that are smarter, more durable, and more energy-efficient. New materials with improved multi-functional (e.g. mechanical, thermal, electrical, chemical, and biological) properties are being researched as key enablers for major industrial innovations and for the competitiveness of enterprises across the entire technological spectra. At the same time, innovations in manufacturing methods are being pursued to enhance the quality of products through new material processing technologies, while minimizing environmental impact and manufacturing costs. Once integrated optimally, advanced materials and manufacturing research significantly contribute to the economic prosperity and social well-being of industrial regions and countries. A key challenge in the above ‘materials’ and ‘manufacturing’ integration, however, is that the processing technologies and manufacturing standards can vary rapidly and widely for a given material category and from one target application to another. As an example, the same light and yet very strong fiberglass composite material can and (economically) should be designed and manufactured differently when it is used in a relatively small mechanical component, versus in a large building structure against earthquake damage. As another example, the fabrication method and dispersion levels applied during manufacturing of nano-scale electromagnetic devices in biomedical applications must be quite different than those intended for aerospace structures under lightening risk. As such, in order to maximize the efficiency and applicability of materials research projects in the real manufacturing world, it is strongly believed that the structure of a new research institute should be of multidisciplinary nature and based on an ‘application-based’ strategy, rather than the traditionally accepted ‘material-type’ based strategy. This is the working principle of our institute. 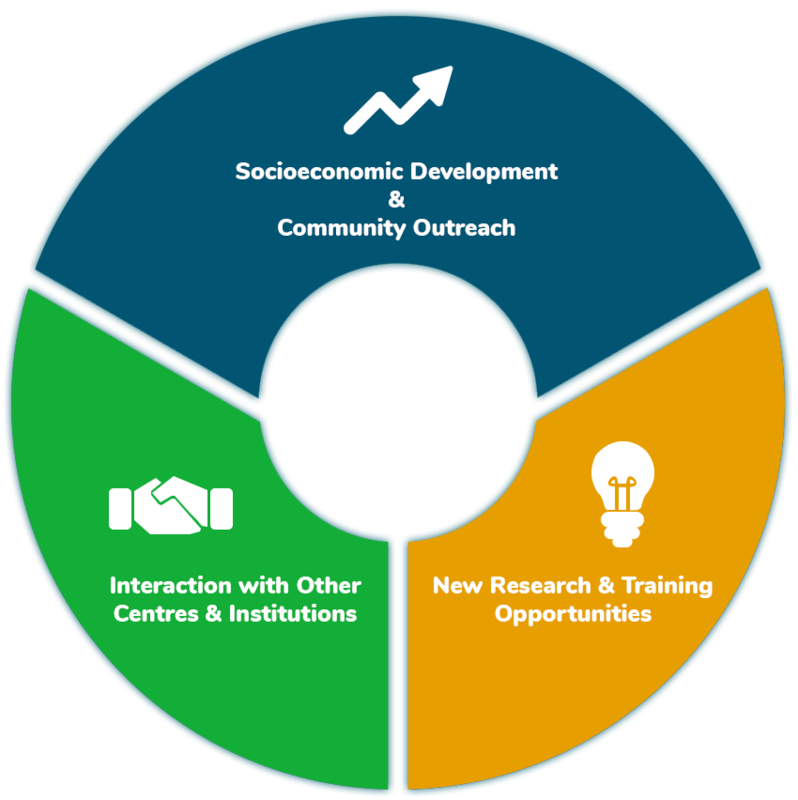 Furthermore, MMRI continually seeks synergy with other research centers and institutes as well as community partners to leverage the capabilities of the university research and training infrastructure at large to generate higher impact.